Inventory management refers to how we plan, monitor and control the materials used in various stages of manufacturing a product. Our definition of inventory includes raw materials, WIP (works-in-process or partially assembled goods), the finished goods themselves and MROs (maintenance/ repair/operating supplies needed to keep our machines working well). The concept of inventory has also been extended to embrace such non-traditional definitions as airlines seats, hotel rooms and concert tickets. Managing inventory makes sense in a business because it helps minimize costs like warehousing and shelving costs, spoilage and obsolescence, delivery and transportation, interest and cost of money (keeping inventory implies that your money is asleep and not earning interest). Retail stores, groceries, restaurants, factories and delivery services benefit greatly from inventory management. For example, a food chain has perishable raw materials that need to be used up quickly. A manufacturer that overproduces an MP3 player will have too much finished goods that may be outdated within a year. And a bookstore that keeps accumulating unsold books must dispose of these stocks or sell them at bargain prices to free up shelf and warehouse space. Inventory management has evolved from simple, manual processes to fully automated and online systems. Hi-tech systems can now even hock up to other computer systems like POS (point of sales), order tracking and distribution. Here’s an example. Amazon, the web-based shop, is known for selling not just books but also toys, gadgets and other gift items. To fulfill orders, Amazon keeps a vast array of distribution centers all over the US. When a customer orders through the web from anywhere in the world (POS), the order is sent to a central computer in Seattle. The central computer (inventory management) finds out if stock is available and its corresponding stock number. 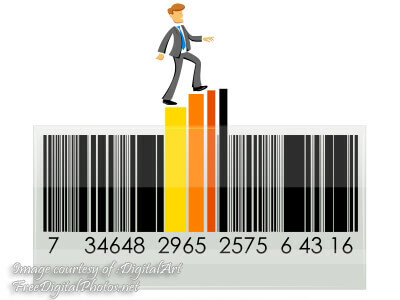 The stock number which is encoded in barcode contains information on where it’s stored and, in addition, which distribution center is nearest to the recipient. The central computer then passes the order to the chosen distribution center. In a manual system, finding this stock in an 800,000 square foot warehouse will take several days. But the barcodes simplify the task a hundredfold. Now, even barcodes are being overtaken by RFID (radio frequency identification) tags. Unlike barcodes which need to be aligned precisely with a scanner, RFIDS respond to radio waves that do not need a line-of-sight. This allows more flexibility and speed in finding and distributing stocks. It also allows more information to be stored in a single RFID tag. With the huge benefits to be reaped from a hi-tech system, it is no surprise to find local companies implementing them. Gally Chua, a manager in a large appliance chain handling thousands of items attests to the benefits- they derive from a computerized system. Chua also emphasized the importance of the computerized system in providing valuable sales movement reports for decision- making. ”It also provides us the history of important SKUs for trending and forecasting in just a click [of a button],” she continues. Barriga, managing partner of That Thing-AMajig Inc. (a sub-distributor of Crocs) says, ”Information can be had real-time, while the inventory is movingly says Barrier. He appreciates the extra power of analysis that automation provides. ”Reports and graphs can be generated right away,” states Barriga. ”Reaction times are substantially faster. Less manpower is needed to manage the inventory.” In short, a computerized inventory system empowers a business to sift through vast quantities of numbers and generate figures and charts that show patterns and trends. Despite its benefits, both Chua and Barriga caution us from assuming that a hi-tech system is flawless. ”Often, the incorrect logging of SKU movement causes variance, which in turn results to wrong feedback to the [decision-makers],” says Chua. Data entry error happens when humans make mistakes in typing, or items are stolen and may wrongly be reported as sold. Of course, hi-tech solutions to data entry error do exist, like barcodes and RFIDS, for example. But nothing beats the regular human audit, attests Barriga. One headache you will have to contend with is the cost of deploying and maintaining an automated system. A simple off-the- shelf system could cost from half a million pesos and up. Proprietary systems will also charge extra license costs. You will also need hardware – computers, scanners and printers. These costs have to be weighed against the cost savings to be gained from the system, of course. There are various case studies In the web that show how long-term savings will eventually recover the cost of deploying the system. Budget-wary entrepreneurs should also explore low-cost alternatives like open source software. Since the cost of buying a system can be prohibitive, be sure to do your homework. Don’t get fooled by the marketing techniques of proprietary vendors. Instead of being carried away by the features the brochures describe, ask yourself, ”Are these the features that my business really needn’t Do some web research and interview other business owners who have implemented their own systems. First create a manual system and then see how a computerized system will support your manual system. 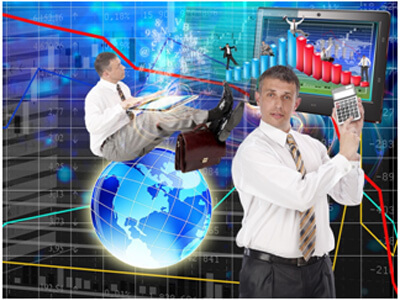 Insist on making the software respond to your business needs and not your staff adjusting to the software. If you focus on your needs and insist on aligning your hi-tech system to these needs, then you’ll have a responsive, useful inventory system.